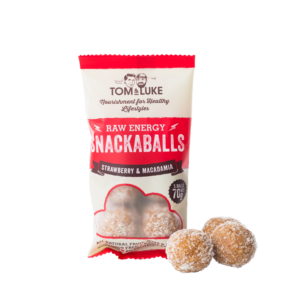 Introducing Tom & Luke’s latest creations…. Our Zesty Lemon & Coconut Snackaball is sure to light up your taste buds! This delicious, citrus-fruit blend has added Pea Protein to keep the family energized throughout the day. 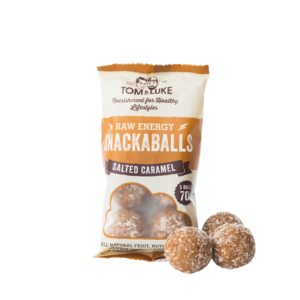 Perfect mid-morning, mid afternoon or as a little boost before or after some exercise, our Snackaballs are the healthier snack option to get you through the day. Dates (51%), Cashew Nuts (20%), Desiccated Coconut (18%), Pea Protein, Lemon Zest (3.0%), Concentrate Lemon Juice (2.8%), Sea Salt, Natural Vanilla Flavour. Absolutely Awesome!!! And since my sons are named Tom and Luke I couldn’t resist. 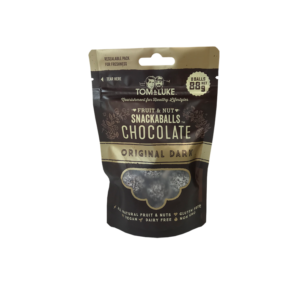 Great taste and great product my tummy feels terrific and I can share my snack and impress. You guys rock!! Wow! These are delicious just like a glorious ball of lemony cookie dough with way less guilt. So so yummy and so filling! They give me lots of energy also. absolutely love them. Thanks for the love, Rose! Delicious!!!! So so good! They have a very fresh citrus taste, and nearly bought a tear to my eye from the glorious flavour! 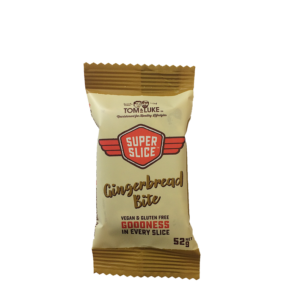 I discovered these little beauties by accident while hunting through the supermarket for a quick, healthy on the go snack. Omg, party in my mouth delicious!!! I’m hooked. Tried a few different flavours but the lemon is by far my fave. I was looking for a little treat that was healthy and this was perfect. I love the fresh lemon taste. So in love!! 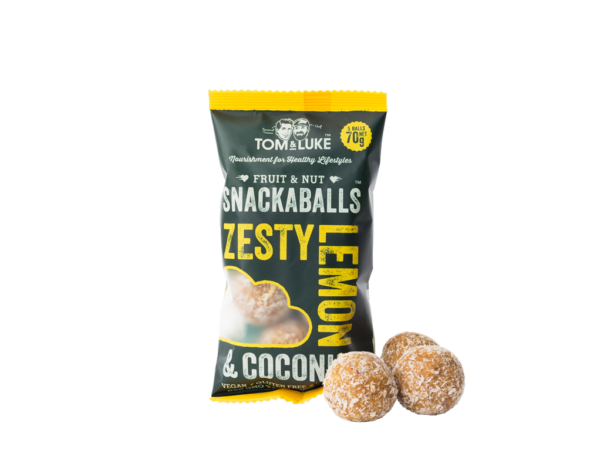 Absolutely awesome, love the taste, love the healthy ingredients lemon my favourite thanks Luke and Tom, please don’t stop making them. Thanks to you Tom & Luke, I have cut out biscuits from my diet. These are far tastier and healthy. Addicted to the lemon & the peanut cocoa. So easy to take out too. Best products ever! I was so surprised I usually don’t like lemon flavoured products but these taste amazing! I bought these and the choc mint ones the other day, the kind of thing that’s great to have in the drawer at work to ward off the 3pm vending machine chocolate craving. Anyway, loved the choc mint and I thought those were going to be the clear favourite, then I tried the lemon – they are the winner, so yum!